We Drink Your Milkshake! : Netflix Instant: Movie & TV Picks - Bike Edition! 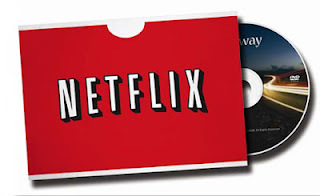 Netflix Instant: Movie & TV Picks - Bike Edition! We're at that sweet spot for weather in Texas where the shade is cool and the sun is warm which makes it perfect bike-riding weather (at least when it's not raining like crazy). I'm a huge fan of biking around Dallas as it is a deceptively awesome city to explore on 2 wheels. To celebrate this bike-ridin' weather, here's a few movies that feature bikes prominently. Fun fact: this movie was one of the many inspirations for the 1985 movie, PEE-WEE'S BIG ADVENTURE. It is also one of the most revered movies from the early part of the century. It details the hardships of a poor working family in post-World War II Rome as a man, Antonio Ricci, finally lands a job to support his family. The only catch is that he has to buy a bicycle, which he does only to have it stolen. 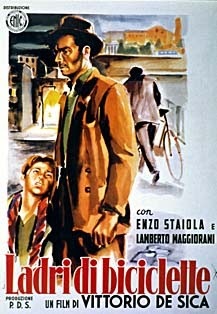 the majority of the movie follows Antonio and his young son as they traverse Rome in order to retrieve the bike. Going off the description of the movie it sounds like it could be a really interesting movie if it handles it premise right. Going on a trip to the titular city to find his estranged grandfather, William. 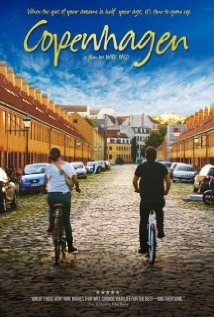 Taking on a translator and guide in Effy, they bike around the city discovering the history of William's family. Also, he starts falling for her. Also, she's 14. So let's see what happens here. 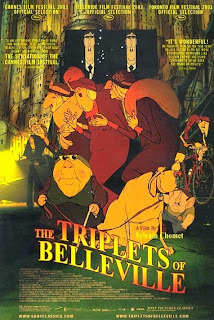 This Academy Award-nominated animated feature has been on my "to-watch" list for a while. I'm a fan of Sylvian Chomet's other movies. Telling the story of badass Madame Souza as she tracks down her grandson after he's kidnapped by gangsters.